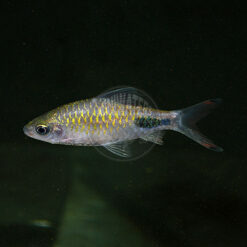 Here’s one of those fish that’ve gone by a lot of different names, with Desmopuntius rhomboocellatus, the Snakeskin Barb, being the name de joure. Also known as the Rhom Barb, Rhomb Barb, Rhombo Barb, Round-banded Barb, Round Band Barb, it’s been assigned to taxons including Systomus rhomboocellatus and Puntius rhombo-ocellatus in the past. 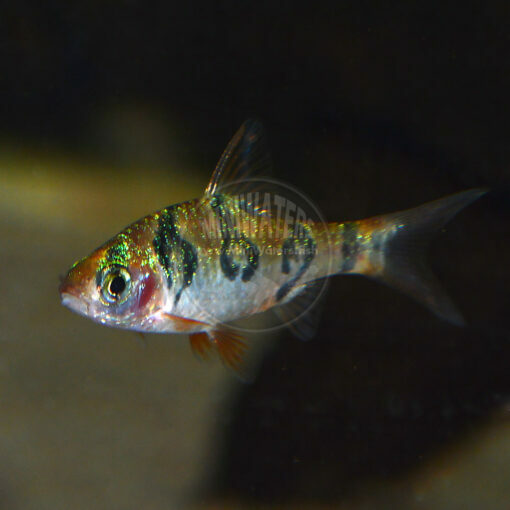 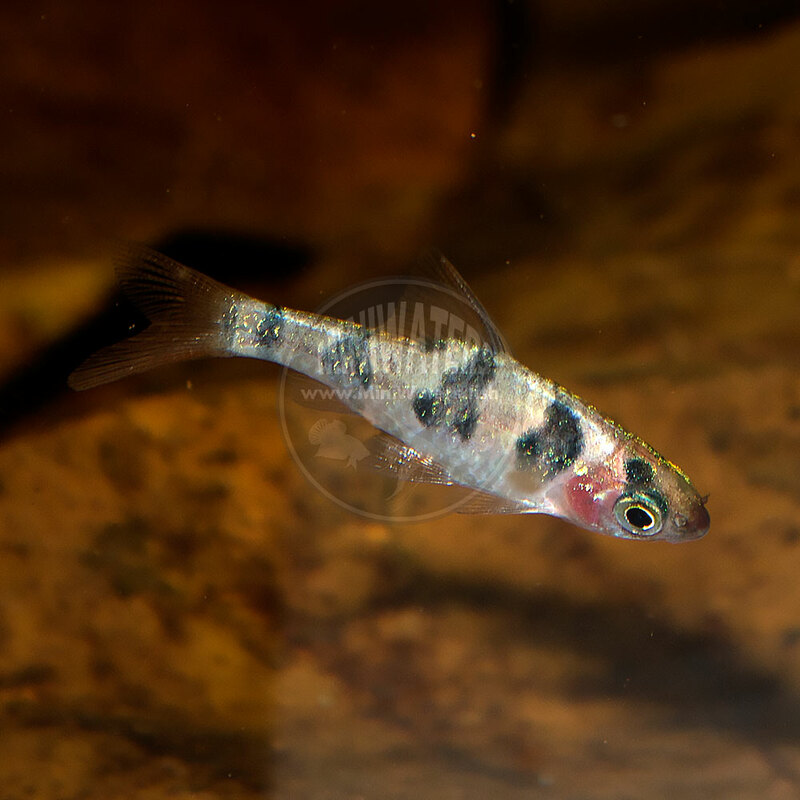 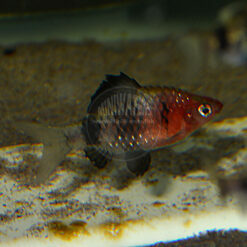 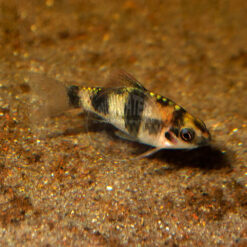 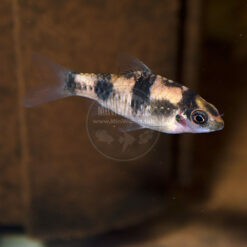 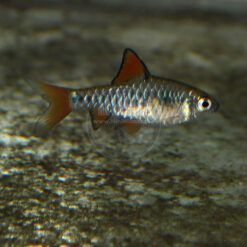 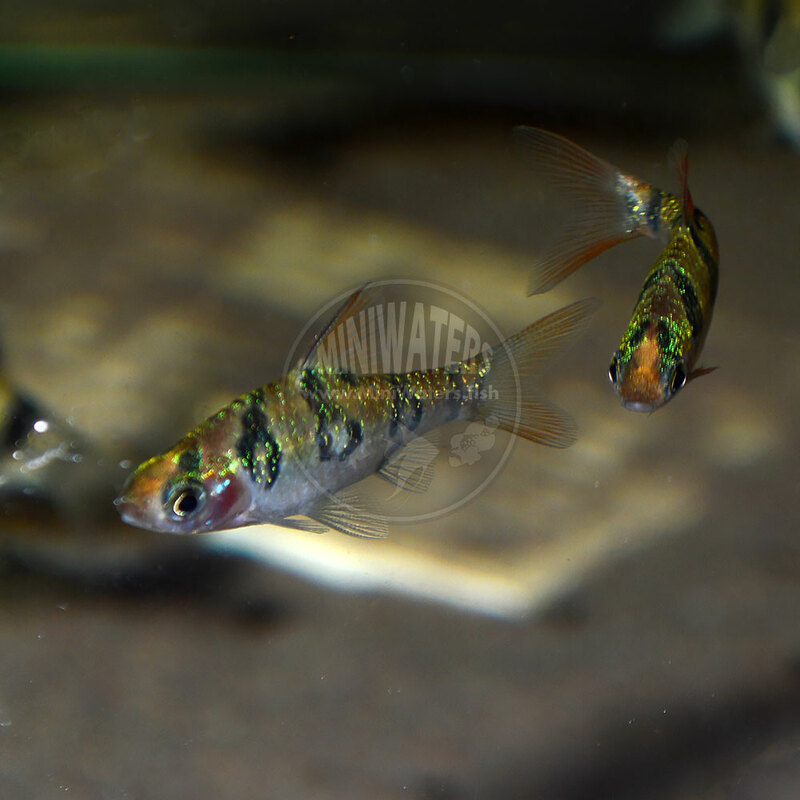 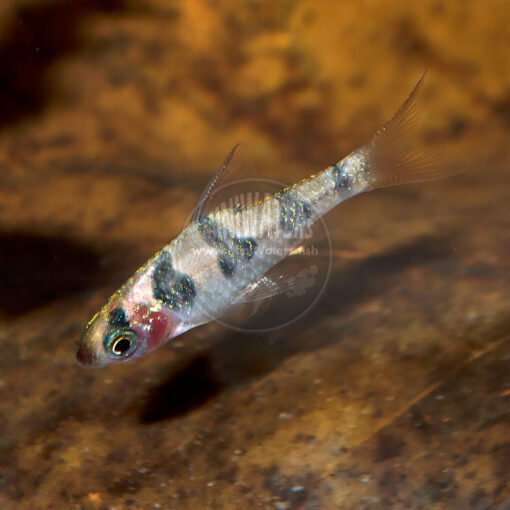 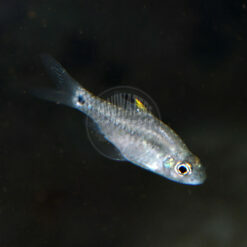 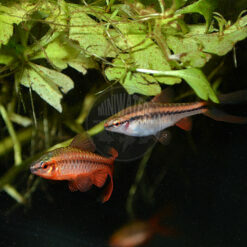 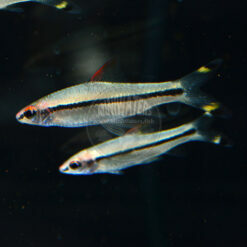 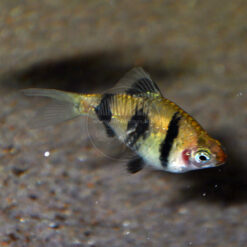 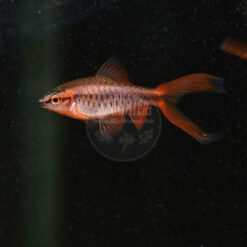 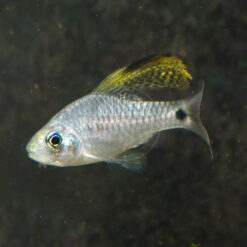 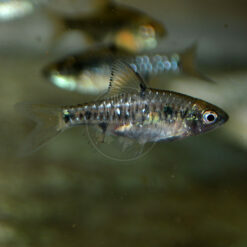 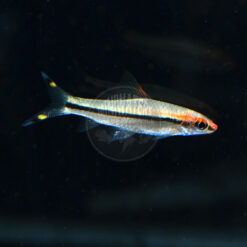 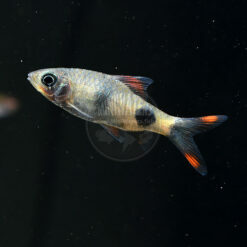 A small blackwater species from Borneo, it’s suggested to be kept in groups (as with most schooling fish). It’s generally considered peaceful, and it’s noteworthy that our Emerald Eye Rasboras happen to be a sympatric species (if you’re into the biotope type display).